This upcoming weekend it's time for Heroes Dutch Comic Con in the Jaarbeurshallen in Utrecht. 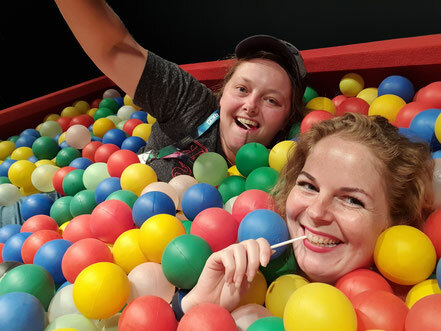 As series and movie lovers, we are very excited about the guests of Dutch Comic Con 2019. These are the actors and actresses that will make their way to Utrecht: Shannen Doherty ("Charmed", "Beverly Hills 90210"), Jennifer Morrison ("House M.D. ", "Once Upon a Time"), Katherine McNamara ("Shadowhunters", "Maze Runner" franchise), Benedict Wong ("Doctor Strange", "The Avengers: Infinity War"), Sophie Skelton ("Outlander") and Tom Felton ("Harry Potter"-franchise, "The Flash"). 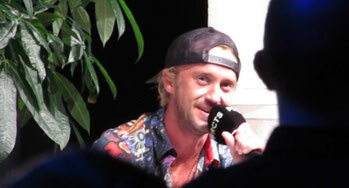 Last year Tom was a guest at the FACTS Fall Edition in Ghent and being a big "Harry Potter" fan, I had to be there. I attended his panel and bought a photo op with the man behind one of the most hated movie characters of the last decades: Draco Malfoy. Tom Felton played the role of Draco Malfoy in all of the "Harry Potter" movies and he did a great job. I mean I really hated that little blonde dude. Tom Felton played the role of Draco Malfoy in all of the "Harry Potter" movies and he did a great job. I mean I really hated that little blonde dude. This man, behind one of the most hated characters of the "Harry Potter" franchise, is coming to the Netherlands! 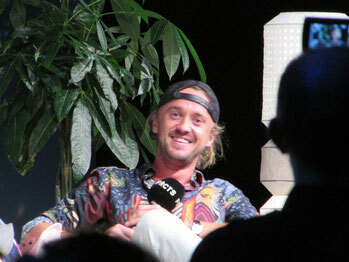 Tom Felton was born 22 September 1987 in Epsom, England. He started his acting career at the age of 8 by appearing in commercials. During his childhood years Tom was also a talented choir singer. As a member of four school choirs and he was offered a position in the Guildford Cathedral Choir. 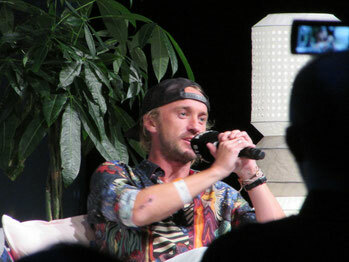 Funny to know: When Tom Felton was young, he was a big fan of Eminem. He even wanted to become a rapper. His movie debut was in 1997 in "The Borrowers" (as Peagreen Clock). After this he also played with Clive Owen in "Second Sight" (as Thomas Ingham) and with Jodie Foster in "Anna and the King" (as Louis T. Leonowens). Tom auditioned for the role of Harry Potter in the the early 2000s. He also auditioned for the role of Harry's best friend Ron, but eventually got the role of Draco Malfoy. Nice to know: By the third movie Tom had to get his robes sewn shut. He just kept on sneaking food on set under his robes. Tom has also been starring in "The Flash" as Julian Albert/Alchemy and he stars in the YouTube web series called "Origin". Tom is also a musician. He plays harmonica and guitar and he can also sing. 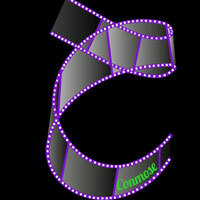 Look at his YouTube Channel for some great videos. Did you know that the first CD Tom ever bought was Dookie from Green Day. I was at FACTS on Saturday and of course I attended Tom's panel. The place was absolutely packed, but I was very happy to get a place to sit. There were a lot of "Harry Potter" fans in the audience, so when Tom entered the stage the audience exploded. Tom seemed very happy to be there (despite of a cold) and he was very happy to answer all sorts of questions. He mentioned that his main reason to be back in Belgium was the recruiting of some new Slytherin members. Of course there were a lot of questions about the magical world of "Harry Potter" and one of the things Tom mentioned was that he did not necessarily think of Draco Malfoy as a bad guy. Basically, he said, Draco was being bullied himself, by his own parents (among others). He says the only character he really considers as a bad guy is Dodge in "Rise of the Planet of the Apes", because if you are cruel to animals...you are a bad guy.About the "Potter-ships" he is very clear: he has heard of all of them, but it isn't something he spends time reading about. Although he has seen some of the Drarry drawings...his brother even had one of them as a screensaver on his phone. As to who Tom would like to be in the franchise, besides Draco, he thought he would make a lovely Hermione or Hagrid. On a more serious note: he says he cannot imagine himself playing anyone else than Draco. If he would have to choose someone else he would choose to play Lucius in the future remakes. Tom also talked about his role in the YouTube webseries "Origin" and how it was to finally work together with Natalia Tena (Tonks in "Harry Potter"). He talked about hiow he is a big Beatles fan and he sang some of his songs. Are you curious? And do you wonder about Tom's shirt? Check out the panel video below! 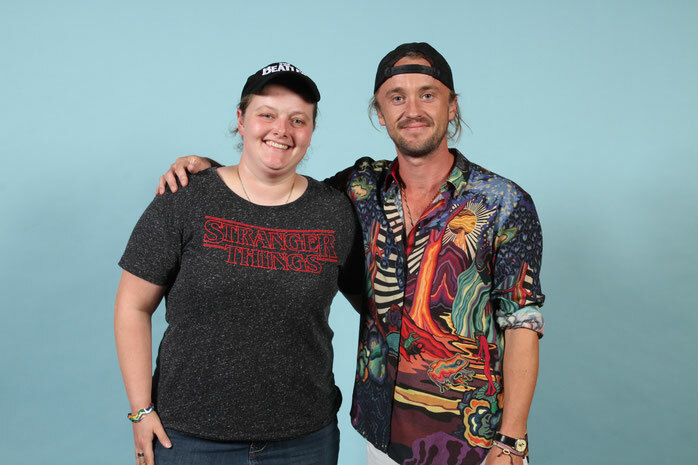 I also bought a photo op with Tom Felton. As I already mentioned, I am a huge fan of the "Harry Potter" franchise and this was just something I had to do. I thought it was a once in a lifetime chance, little did I know that Tom would be announced for Dutch Comic Con a few months later, lol. Back to the photo op. As always, there wasn't much time to talk during the photo op, but I am very happy with my photo and Tom was really nice. Ah well, maybe I get the chance to talk to him some more at Dutch Comic Con (this weekend!). Are you a Potterhead? Make your way to Utrecht this Sunday (Saturday tickets have sold out).